As we’re heading into the last full month of our second homeschool year, I am amazed and slightly overwhelmed at the amount of material we generate. There is so. much. paper. The most overwhelming thought is the ever present: What will this look like in TEN years? When all four kids are homeschooling? It literally sends chills down my spine. It’s not like my house is Pinterest perfect as it is–the last thing it needs is more loose paper. Unfortunately, my children don’t see the beauty of pages that stay IN notebooks. If the drawing/picture/work isn’t pulled out of the notebook, did it even really happen? Anyways, I’ve been working at finding ways to use the Internet to help me out. Google Drive. This is probably the most versatile, helpful tool I’ve found and I use it for multiple things within our homeschool. The Google Suite has options for creating basic word docs and Excel style spreadsheets. I use a spreadsheet to keep track of the kids books we read each year. So far, I mainly just track the title, author, and month we read it in, but as the kids become more independent, I’ll also keep track of who read what. It’s easy to see at a glance how many books we read total, and also to break it down per month. Basic word documents are also super helpful. I use them to record narrations and keep notes on planning our next year. As the kids become more independent, they’ll each have an online folder with their school papers and eventually a linked Drive. One nice thing about the Google Suite is that there are mobile applications for all aspects of it. Anything CAN be accessed from my phone, I just haven’t seen the need for that yet. Evernote is an incredible tool, whether you homeschool or not. It has mobile and desktop applications, and will sync between your devices just like the Google Suite. I use it a lot more than the Google suite though–it seems easier somehow. Within Evernote, I have several different ‘notebooks’ (home, school, writing, blog, etc.) and within those notebooks various lists that I’m likely to need to access on the go. Library lists, books I want to look up, to-do lists, errands, and occasionally little snippets of things I want to write. I mainly use Evernote in the planning phase of homeschool–when I’m collecting ideas, figuring out what we’ll want to get from the library, or needing to do a brain dump. Trello is basically my online whiteboard that nobody can wipe off. I like it because I can see it all at a glance without having to go back and forth between different files. I use this to organize the online resources I’m using each school week. I made different boards for the different terms, and each board has a column for every week in the term. Then, I can just add ‘flashcards’ basically, with hyperlinks to the piece of classical music we’re listening to one week, or the art study we’re on, or some video I found on Youtube that ties into our nature study. Having all the links in one place, sorted out and organized by week is super helpful. Bonus tip: Make a gmail account for your homeschool. You can make special playlists on Youtube, subscribe to the educational channels you want to and block everything else, without affecting your personal recommendations and preferences. It also makes the organization aspect of using Google Drive and Google Docs etc that much easier. Just make folders for each kid and/or each subject, and let the magic happen. AND then you can use your school email for anything school related that you sign up for online. Is there anything I’m missing? 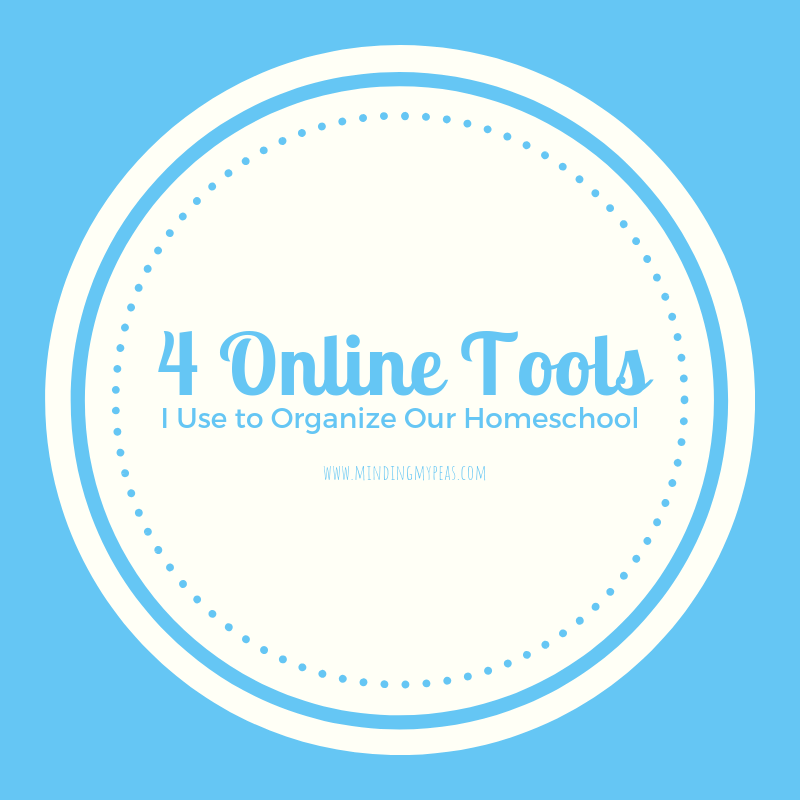 What is your favorite internet tool for organized homeschools?